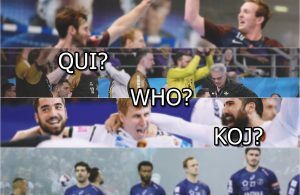 On the eve of the biggest weekend in club handball, four players from the participating clubs will join Tom O’Brannagain for an always entertaining and interesting hangout. Mikkel Hansen (Paris Saint-Germain Handball), Igor Anic (THW Kiel), Manuel Strlek (KS Vive Tauron Kielce) and Gasper Marguc (MVM Veszprem) will be on hand to speak about the VELUX EHF FINAL4 and share a laugh with the handball community in front of a live audience from 18:00 CET on 27 May. For fans not present in Cologne can enjoy the player hangout live on YouTube and Google+ here, the perfect way to start a memorable weekend.